What would you pay to spend one full day learning all about Marketing? There actually is a price you can put on that question (and it’s a cheap one!). On Tuesday, March 2nd, 2010 at the Metro Convention Center in Toronto, there will be a very special event called, The Art Of Marketing. Seth Godin on Leadership and Creativity. Godin needs no introduction. He is widely regarded as one of the best business speakers in the world. He has authored multiple best-selling business and marketing books. He will also be presenting concepts from his recently released book, Linchpin (which could be one of his best books to date). Dan Heath on Strategy and Communications. Dan and his brother, Chip, are the authors of the amazing business book, Made To Stick (a personal favourite), and they are just about to release their sophomore effort, Switch. The Heath brothers also have a monthly column in Fast Company Magazine. Max Lenderman on Branding and Experiential Marketing. Lenderman has two incredible books out: Experience The Message and Brand New World. Lenderman is a founding board member of the International Experiential Marketing Association (IXMA) and is a sought-after public speaker on the subjects of strategic branding, experiential marketing and global business trends. Sally Hogshead on Persuasion and Influence. In her second year in advertising, Sally won more awards than any other copywriter in the U.S., and was called “the most successful junior copywriter of all time.” At age 27 she opened her first ad agency when she founded the West Coast office of Crispin Porter + Bogusky in the dual role of creative director/managing director. Her first book was entitled, Radical Careering, and her soon-to-be-released second book is called, Fascinate. James Othmer on Advertising and Branding. 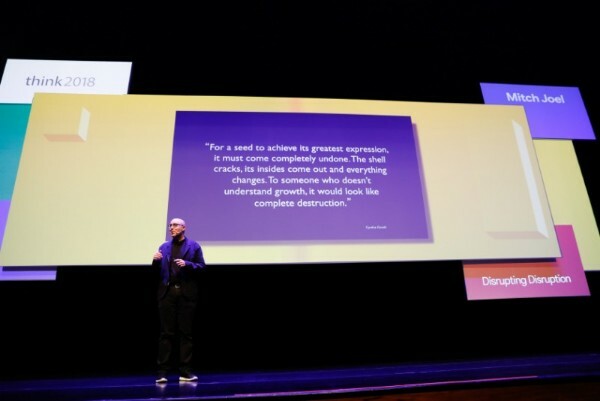 Author of, Adland – Searching for the Meaning of Life on a Branded Planet, and The Futurist, Othmer has spent his professional career at the intersection of art and commerce, old and new media. As a creative director at Young & Rubicam in New York, this 20-year agency veteran creates brand narratives and award-winning commercials for some of the world’s most powerful corporations. 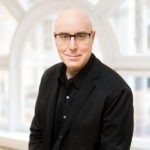 Mitch Joel on Digital Marketing and Social Media. Yep, that’s me! (what a thrill to share the stage with friends, peers and personal mentors!). I’ll be discussing my first book, Six Pixels of Separation, and sharing the concepts of, "burn the ships," the power of asking "why?" not "what? ", what "know control" means in a "no control" world, and how we have become the most branded generation ever. How much would you expect to pay for a day like this? The good people at The Art Of Marketing wanted to make a special offer to those of you who are connected here in this community, so here’s the deal: if you sign up to attend The Art Of Marketing using this link: The Art of Marketing – Mitch Joel, you will get the special rate of $349 per person of $299 per person in groups of 3 or more. You can also register on your own (without the link above) and use the promo code: TWIST (that will work too). I have no idea how the producers of this event can pull off a show like this with such a high-calibre list of speakers for only $349 a ticket (Canadian, no less), but that’s your gain. Also, as a special promotion The Art Of Marketing will give you a free copy of Seth Godin’s latest book, Linchpin, or a copy of Chip and Dan Heath’s Switch (your choice!) to anybody that uses the above link (or promo code) to register before February 15th. Yes, other Blogs, websites and print publications are doing promos, but no one else is getting the free books as well. Our friends over at Random House Canada are so excited about the launch of Chip and Dan Heath’s book, Switch, that they are also giving away one of the coolest new gadgets on the market: Clocky the robotic alarm clock (the story of Clocky is told in the book, Switch). How do you win a Clocky? Once you have purchased your ticket, email me proof of purchase and I’ll put your name in a random draw for Clocky that will take place on February 16th. Twist Image (my company) is also going to personally give away a pair of tickets to the Art of Marketing with two free copies of my book, Six Pixels of Separation, (which I will personally autograph for you). To win this pair of tickets and the free books, all you have to do is leave a comment below with your thoughts on what it takes to be a great Marketer in 2010. I’ll choose one winner who really exemplifies passion on February 16th and your names will be at Will Call at the Art of Marketing event on March 2nd in Toronto. What are you waiting for? Register for The Art of Marketing here and leave your comments below. No More Websites. Only Publishers. dude, this was hilarious, love the style. You managed to make me feel as though my life would be forever incomplete if I missed this event! I have no shame so here it goes…. I must admit that I know very little about marketing but it has become important enough for me to invest my time and energy so that I can understand the world of the consumer and therefore be able to exist and find work that interests me in this new technological driven universe. As a marketer in 2010, if I had to summarize what it takes, I would say thisâ€¦.I think you have to be able to step over the edge and gauze down a cliff until your knees start to wobble then jump off! Instantly become one of their clients, this would mean I would arrive at the bank at approx. 12am-1pm when most people venture out to do some banking during their lunch breaks. While waiting in line, visually collect demographics. Next, jot down the process, time in, time out, experience, interaction, etc. Next, I would follow the same process at about 5-6pm (different crowd). Of course having people at multiple locations would add to the collective process. Next, atm experience, what works, what doesnâ€™t, how to improve if necessary? Why are lines so long? How to better accommodate? Next, mobile brokers / insurance agents, are there any improvement in this area? Follow around agent on their quest to capture a client. Ask clients overall experience, convenience, what works, what doesnâ€™t. Next, corporate offices, are they attracting necessary talent? Whatâ€™s it like working at TD Bank? How are you treated as an employee? Does the employer offer any training / feedback? Benefits? Etc. Are offices located conveniently for people? Next, online presence, how is online complementing their â€˜offline experienceâ€™? How to engage people in the social media sphere? What marketing tools can we use? Would people consider doing their banking on a smartphone?…and all implications associated with that? Next, charities, how is the bank contributing to the community? What causes are aligned with the banks business model? How does the bank continue to perform in a competitive landscape when governments open up the gates to foreign competition? Overall, it would seem to me that a marketer has many platforms to peruse and how to connect them all, if necessary, would become invaluable in creating a loyal following for life. I think a marketer has to become the social glue that connects business and people together in this ever-changing landscape. As well, a marketer must be able to continuously ask questions and not be afraid of what the outcome becomes. Lastly, as people in general become more â€˜digitizedâ€™ including the rest of the world, localized marketing might work better than simply draping a cloth over everyone. It takes commitment to the client, and I don’t mean that lightly. It means doing “what needs to be done” even if it’s a Friday night, even if it’s due the same day and even if you’re on vacation. Give them the peace of mind that when they deal with you, you will “take care of them”. You will sell for them, you will make them look good and you will keep their best interests at heart. Make them love & respect you, but more importantly… make them trust you. Go that extra mile and you will never be confused with the competition. It takes empathy to be a great marketer. If you can figure out and truly ‘see’ somebody’s world view, you are then ready to have a conversation. * There: Within reach. A handshake, a phone call, a hand-written thank you note. In a digital age, presence means more than virtual reality. * Honest: No more hyperboles. The truth is more powerful than insinuations and exaggerations. * Instantaneous: meeting the client with short attention spans. * Narrative: data no longer rules the roost – story telling brings connection and personality to a world that is lusting for meaningful connection. You sure know how to write a good hook. Here is my entry into your contest for what it takes to be a great marketer in 2010. LISTEN and BE RESPONSIVE to customer wants and needs. Communicate/connect with your customers, the media, and others interested parties IN THE CHANNELS/PLATFORMS THAT THEY USE in ways that are appropriate to those channels. TRACK your progress and ADJUST your strategy/tactics as necessary to continually improve outcomes. NEVER take your customers for granted. EMBRACE CHANGE and new marketing models as may arise in a knowledgeable and strategic fashion. ENJOY your role as a marketer and do it with PASSION. …or write something pithy here about Marketing in 2010 and you might win two free tickets and two free signed copies of my book, Six Pixels of Separation. Hey there….What it takes? One word: love. Ten years ago you could read a couple books, take a course and say “hey, I’m a marketer”. Not today my brothers and sisters; there is absolutely no faking it. If you don’t love it, I mean love it, there is no sweet Jesus chance for you to keep on keepen on. What you read last week has already changed. If you don’t wake up every morning and ask “what’s next?”, I suggest you polish up the resume. And there is no formula to fall in love with this crazy ride. You simply have to love people and ideas, have a deep curiosity for the world, and get off on the quest to learn something wacky everyday. Peace. When someone can explain what marketing is without a buzzword, this job will get a lot easier. I think one of the keys that’s become by far more important than knowing specific tactics or doing specific work, or even working hard and being thorough (though these are important) is a form of curiosity. It’s not enough to know how to put together a great ad, or write excellent copy. You’ve got to be able to not only learn new channels, but seek them out, and learn how to communicate them to anyone, in any industry. Better still, you’ve not only got to understand the new channels (as they appear) but be able to make the best use of them on behalf of those you’re working with – assuming you’ve rightly determined how effective what kinds of action on which channels is actually worth doing in what order. Marketing was complex when it was mass broadcast. Now it’s mass conversation, and finding the balance in that, not just for yourself, but on behalf of someone else, appears to take a much different set of savvy and skills. It still helps if you can put together a smashing ad, though. Nothing says slick like awesome audio-visual, even in 2010. It’s finding the places to put that slickness that’s the trick. Curiosity: you have to really want to know what makes a customer (or potential customer) tick. What they are about beyond the relationship with your product/service. You have to want to learn what’s new out there, always be wondering, searching. Passion: for what you do. If you’re just in it for the paycheque, go home now. Persistence: you have to be okay with failing, a lot; with not hitting the home run every time (or ever), but satisfied that it will come if you just try one more thing. An iPhone: (or other web-enabled device) How the hell else could you possible keep up with everything people like Mitch are saying without being tied to your desk 24/7. To market successfully in 2010, we need to love our customers words better than our own. We will never communicate the benefits of our products better than those who use them. Let’s find out exactly why customers use our products. Then give no slick sales pitches but true value which attracts vs. repels. Enough with towing the corporate line. Be the real person we know you are. A balanced mix of honesty, humility, courage and curiosity for different social media channels will allow us to Market successfully in 2010. Scott, I agree with you. If we find our selves sitting, studying, testing & applying today’s modern social media & marketing skills consistently(In my case on a Friday or Saturday night!) it can’t be described as work but a true passion. Ok I’m in too. Already a lot of good answers. You know what? Scratch this. It’s asinine. I tried to do a better job where I had the space to stretch my metaphors a little better. The best marketing I ever did, and I will be doing it again as I open a second location, was to present the free Crystal Clear Lunch & Learn series. I brought in speakers, laid out the coffee and cookies and opened the doors. I ran this for 3 years and got a ton of publicity. I also got to choose and meet the speakers. I send a newsletter with tidbits of interest to all my clients. I send individual clients info that crosses my desk that I know will help them or be of interest. In short, I have built a tribe of raving fans by giving. People work with me, just to be included in this group. What other things have you given or could you give? For 2010 in the Canada, read 2012 in the UK. If I could attend this year, two years marketing advantage is ahead of me! I have been reading Seth Godin this afternoon – doing nothing doesnâ€™t feel like an option – I have to participate, I would love a free ticket to what sounds like a great event. Successful marketers in 2010 need to understand digital and how it can be used to engage customers. Your audience is talking – are you listening? Are you sitting back and letting someone else create a fan page for your product/company or are you in there owning the experience and engaging directly with your customers? Instead of worrying if there is enough RIO in Twitter as a marketing tool, integrated it into your customer services operations so that your already trained and responsive team has one more means of, I am going to say it again, engaging with your customers. Digital marketing in 2010 is moving beyond standard sites, it is about apps, tool and a constant stream of engaging content. Beyond the cool factor, tools should help you go where your clients are and should help your clients take you with them. If you have great product images and no easy way to share this content, you are missing the boat. Smart marketers are going use the digital medium to engage customers – and their customers will help create the fresh new content, the customers will become evangelists and the customer will sell/promote your product/company. Here’s what it takes to be a great marketer in 2010. 1) cares instead of sells. Old marketers will teach you tricks like how to write clever sales copy or how to write a proper headline. A great marketer in 2010 is able to spread this exuberance and touch people through the art of caring. A great marketer realizes in 2010 that a genuine fan of one is greater than a thousand drones and 0.03% conversion rate. Great marketers give a crap. No longer does fake it till you make it work. 2010 is about honesty and transparency. A great marketer doesn’t take the client who doesn’t believe in this. It’s not only about the payday. I like to thing of this as of the same importance as being socially responsible when it comes to the environment. The marketer needs to be as socially responsible. There is no in-between. There is no towing the line. A great marketer in 2010 is socially responsible for all actions. Marketing is done for the good of people (even if it’s one person) and not the almighty dollar. A great marketer in 2010 takes chances all the while maintaining #2 social responsibility. The great marketer doesn’t sit in the slow lane or drive in the middle of the road. A great marketer in 2010 takes chances and has giant balls. Failure is the only option for great marketing. Hey Mitch, great write up on the event! The key to your question is ‘2010’. There are a ton of elements that go into making a great marketer (many of them have even been listed above) but the underlying key is flexibility and the ability to morph with the times. Social networking is huge right now. Love the buzz word or not, people are congregating in the online space. In 2010, the goal of a great marketer is to do everything they have been doing in 2009, 2008, 2007 etc… but do it successfully by integrating with where the user communities are. Be it a monster brand instigating open questions through Formspring or opening up a blog or Facebook fanpage to it’s users where they can share funny, interesting stories revolving around the brands products. Mitch, I already have a signed copy of your book as I attended the launch party at the Ad Lounge event at the distillery. thanks for signing. great to meet you. Would love the free tickets though. What does it take to be a great marketer in 2010? To be honest, I have no idea. I’m not a marketer, although out of necessity I am working hard to become one. I imagine a day at the Art of Marketing would be like boot camp for someone like me, completely in over my head and yet learning more in a day than I possibly could by reading countless books. This is a great opportunity to see some great minds speak! What will it take to be a great marketer in 2010: Flexibility, Focus and Finesse. It is going to be a tough year, and if you want to succeed with your clients you are going to have to be flexible in your thinking, be focused on the desired end result and execute with finesse. Thank you for offering these tickets – and the books! What it takes to be a great marketer in 2010? I think it is exactly the same that it was years ago: Listen to your clients and respect them. Clients are not fools. Sometimes they know more about your product than you, because they use it in lots of unusual manners you could never imagine (Twitter is an example: it was about “what are you doing now” and today it is… almost whatever users want). If something changed, is that now your clients can talk more easily and quickly to more people about your products. So, hurry up and enter the conversation! Be a listener and consider what you hear. If that it’s not what it takes to be a great marketer, it will at least lead you to the right path. Would absolutely love to win – in my world marketing is not a job, it’s a way of life! Given outstanding human qualities, it takes knowledge to be a great marketer. Solve problems and tell people about it. If Patrick Good wins… I’ll take his book! To be a great marketing, moving forward through 2010, you must be an engaged consumer. As our world economy begins to warm, we must also be creatively agile and opportunistic. With each and every client communication we should be thinking: Why would I buy this/Why do I buy this product or service? Granted, sometimes we are tasked to work outside our personal zones — Perhaps I have a cleaning service, while I am being challenged to market a line of environmentally friendly cleaning products — In these cases, we must strive to find a connection. Engage colleagues, friends and family. Often they are excellent resources, and even better bulls#it detectors. And in most cases, they enjoy expressing their love or disdain for something they’ve invested time and $$$ into. You’ve been a consumer longer than you’ve been a marketer. Harness this, and you will be in the moment while marketing your client brands this year. To be a great marketer, moving forward through 2010, you must be an engaged consumer. As our world economy begins to warm, we must also be creatively agile and opportunistic. Fear of fear and a moleskin notepad. Forget about broadcasting ads – you audience isn’t listening anymore. Marketing in 2010 is all about connection. If you can’t connect with your customers, they aren’t going to be your customers for long. And it doesn’t mean setting up an artificial twitter account to send updates or coupons. It is about creating a sense of community first, before trying to sell anything, making people feel they are part of something bigger than a product purchase. Its about real stories, stories that support the community and connect the people in it together, and to the product. In 2010, marketers need to be great synthesizers. 2010 is going to be the year that small ripples turn into big waves. Small ideas ideas morph into movements and trends become mainstream. Adoption cycles are shortening in 2010, I think things are starting to move into six month to a year cycles so the world moves incredibly fast. Last year, mobile marketing was on the fringe, in 2010 it is front page. Marketers will need to not only understand these movements but understand their power enough to be able to make informed decisions on how they use them to further connect and empower consumers to better their lives. Everything is out there and a marketer in 2010 will be one that can synthesize everything into a clear strategy for their company or their clients. The dust is starting to settle, the question is whether or not you can see through the cloud or not. Get away from what I like to call “Shopping Cart Marketing”. You know, walking the virtual aisles of the marketing superstore chucking in your company’s (or client’s) shopping cart a little Twitter, a pound of Facebook, a box of YouTube, and a few brochures. This type of marketing is seen all over the place and it drives me CRAZY! We need to put the focus back on defining the best target markets and strategies then figuring out what tactics best suit the situation. We need to think of ourselves as personal chefs rather than shoppers. We listen to our customers (or clients), we understand their needs, we provide support and information, we build a relationship and finally become a part of the customer’s community. Consumers tell us what they want and need…and we build a fully balanced marketing plan that can satiate their appetites! A visionary whose authenticity permeates their art form. I believe that a marketing message, particularly in these trying times, is more easily engaged and understood when it is authentic, rather simplistic and blievable. Super success in 2010 will require a LOT more of things, a less of others and the elimination of Dinosaur techniques. A lot more caring for your customer/clients welfare which includes costs/satisfaction ratio. Well, make that an insane amount of caring. A lot more or larger antenna to understand markets and NOT just in a cursory fashion. Digging Deep almost to China to get to the absolute lizard brain core to know what the people like, know them better than yourself! A lot less of “tradition” advertising as it is withering slowly due to the din we are/were hammered with. Newspapers, magazines, yellow pages, in deep doo doo. It is too easy now for audiences to scan what they want, research testimonials, find the lowest prices so much that retailers should be afraid to open their doors for fear the staff will look like idiots with there limited product knowledge. Retailers better “Get Busy” learning how to get Social and fast. The dinosaur techniques like Elmer Wheeler and Tom Hopkins, 2900 ways to close schtupf just ain’t-a-gunna cut it. Schlocky service is going to bury them too. Customers/client are no longer surprised with great service, it is demanded for it is way too easy to find a “better” deal. Dinosaurs devoured and moved on, to the next victim. 2010 companies better love-up there customers like their own first child and make darned certain they know they are loved. Or it’s buh-bye! Imaging if Godzilla just took 10 freight cars full of caffeine pills…THAT is the energy you’ll need to dominate in 2010 or to even play the marketing game for ho hum is history. If I can’t do those three things, then all the advice in the world isn’t going to help me. To be a great marketer in 2010, you have to pay attention to relationships and technology. For what I sell, it’s always best to have a word of mouth referral, which means each time I serve someone, I have to remember they will lead to my next sale. You also need to remember that as the technology changes, this focus on relationship never can. Each person must be treated as if they are your sole customer each and every time, regardless of the # of Twitter followers you have, or fans there are of your Facebook Page. That said, technology can aid in making sure you are tracking with your customers of the past and potential customers of the future. Old methods aren’t all dead, as long as you focus on how they still can connect with the customer and maintain that authentic relationship, and dare I say it, Community interaction with your brand. Integrate the old with the new, but never lose site of the one on one relationship with the customer. Every time. What does it take to become a great marketer in the year 2010? If you’re not already one, my short view on it is the ability to shut up and listen. Many marketers are wholly rooted in their past experience. 2009-2010 has shown me that a willingness to unlearn traditional marketing and keep an open mind is the greatest tactic available. This is exciting dude, I can’t wait to be there. I think the panel is totally fitting for marketing in 2010 – this year it’s going to be all about authenticity and personal connection. I am PUMPED that the days of corporate anonymity are falling down around us. For the first time in 50 years, marketing is becoming a CONVERSATION rather than a DICTATION. Companies that get that are going to thrive, and companies that don’t are going to fade – fast. In a world with limitless options, we the consumers, are going to be going with those who make our interaction an EVENT – those individuals who go out of their way to leave us raving fans of them, their company and their products/services. Personal branding is blending with corporate branding. The future goes to those companies who recognize their employees – employees at all levels of the organization – as the faces of their brands. I believe marketing in 2010 (and increasingly in the years to come) is about attracting and supporting the right employees who live and breathe the values of the company, add in their own unique dynamic, and then go beyond their job descriptions to create that multifaceted, engaged entity that we want to do business with. Looking forward to seeing you there, and would LOVE to pick up those free tickets you’re offering. I think the key to being a good marketer in 2010 is truly caring and connecting with people and helping them believe that they matter and the work they are doing is important. How to be an effective marketer in 2010? Just as marketers are getting religion about the importance of social media, they are in danger of failing to see that social media is just a vehicle, not the solution. Rather, information is the keystone. How firms embrace the information flow that surrounds their own brand and their customers lives will create the new market leaders in the next several years. To put the opportunities of this brave new world in context, leaders need to appreciate the changes in the world around them. Having marched through the Industrial Age and blown through the so-called Information Age, this new decade in a new millennium presents an even more daunting age of opportunity. This could be referred to as the Creative Age. The Creative Age will be characterized by its reliance on small groups of social influencers who have broad access to consumer information and generate creative and innovative thinking. For marketers the Creative Age must be thought of in terms of three major impacts. First, and foremost, the creative application of ideas through social channels, as a major vehicle, will spawn a new era of truly integrated marketing communications. Secondly, real-time consumer information should be seen as a critical ingredient to developing breakthrough creative insight. And finally, the Creative Age will blur the organizational lines between marketers, their customers and the agency. So how should a marketer take advantage of this new age? They need to first address their very structure and operations on how best to capture and harness this new creative ground swell. Do they have the framework and the personnel to find, recognize, and utilize valuable consumer information, ideas, and conversations? Can they do it quickly enough to be useful? And most importantly have they pushed responsibility down to the lowest level so as to not impede that vital information flow? * Leadership – Leaders, who have a strong vision of what the brand is and where it’s going, are in place. This is a conscious strategic decision to reinvest and reposition staff with their brand and the new tools in mind. * Philosophy – Proactive marketers understand the power of this new media and the expanding need for information and speed. They realize that technology is a hidden force that enables empowerment and freedom. * Technical skill – Marketers must have the right personnel to determine if ideas, conversations, streams of data flow and information is useful or useless. It is very easy in today’s technological world to get bogged down in too much information. Marketing any product or service will propel forward by recognizing the global evolution of our obession ( aint no other word for it) for the power of Friends – in a virtual world tied into the impact of Network – capital N.
Relationship and solidarity of opinion stand equally with those who share no opinion at all. Tapping into the domino effect of self expression has never held a more influential place than on The Internet. Occupying new corners of the social networking space will be the platform for marketers this year. And the next. IF the front line staff and marketers were empowered to make decisions on behalf of the brand. Instead the current organization is too slow, too bureaucratic to respond, much less take advantage of this opportunity. Give the customer what he ACTUALLY wants; not what you *think* he should want. Have a great conference, Mitch. * LISTEN – Listen to what people are saying; what they REALLY want. Are they complaining, wishful, wanting or demanding? * IMAGINE – What solution can you create? Best case, worst case, whatever. What could you do if you were trying to please only yourself? What can you do to quickly and satisfactorily to please your client or prospective audience? What can you do to create real art, to rock the world? * DO – Just. @#$& DO It. Go – and make it happen! Oh my goodness, I am so very thankful that I found your blog today because of a tweet no less! I did not know about this event and am over the top excited about who is coming to speak. I’ve been in the computer industry for over 25 years and had my own businesses for over 20 years. It was last February that I delved into trying to market my gift & incentive business online. I spent five months with very little sleep, reading online as well as great books like Trust Agents, The New Rules of Marketing and PR, Tribes, etc. I embraced Social Marketing wholeheartedly and believe I was born for such a time as this. It has always been about relationships for me. Customers and Employees are people that want to be made to feel they are valued. Working together so that we genuinely create win-win environments is what makes business rewarding. Paying people what they are worth, while earning a decent profit for taking the risks of business ownership allows us to market from a perspective of a value added arena. I am so committed to this new medium that I left my full time job to help small businesses understand how to market themselves in this new era. It’s old fashioned community building; trading services/products with people you’ve built a relationship with for money. Now its online and the geography doesn’t matter. I know this would be a life changing event. If passion is king, then I have it in droves. If passion is what matters, then it forces me to get up in the morning. If passion is an ultimatum, then I choose for not against. I am passionate about two things: marketing and writing. In 2010, we will finally see their long-awaited marriage. Being successful in 2010 isn’t about having the best social media strategy, the most well-designed website, the strongest brand identity, or the most advanced, value-adding, comprehensive product on the market. Being successful in 2010 is about aggregating passion, inspiration and thought. It is about creating a climate of change and trust where tactics, strategies and plans fall secondary to the pursuit of progress. Marketing is creation. Creation is progress. Progress is the future. And from that, if we are among the lucky few, we may derive success. The winner of two tickets to The Art of Marketing event is: Noah Fleming. The winner of the Clockly alarm clock is: Bill Laidlaw. Congrats to them (and thanks to everyone for taking part). The winners can expect an email soon with the full details! I will be brief: a great marketer is someone who can predict what is going to happen in our changing market, prepare for it and adapt his strategies to always be ahead of the crowd, while making sure its clients reach or exceed their goals. Most authors are thrilled to be quoted as long as you give credit in your text. These websites allowing you to complete all the offers and it’s same for all other members as well. ago, was developed by Gearbox Software and published by 2K Games. it the internet money enable that you acquire from a Ps web store. as the entry level Xbox 360 on October 23, 2007, while continuing the Core’s cost of.